Someone said Waitrose was the dearest of the supermarkets, but I think M&S food is. We don't have either close by. Does shopping for clothes in charity shops count? I like charity shops for various items, I certainly buy a lot of books from them. I like cheap and cheerful but I also love marks and Spencer food which isxwuite expensive. I wouldn't say I m a shop snob, I don't really mind where I shop. Like someone else said, I m a reverse snob in the case if clothes, I hate paying lots of money for clothes as I get fed up quickly of clothes and they get stuck in my wardrobe unworn. We visit a fave Portuguese deli on Sunday (free parking) about once every six weeks, stock up on wine (bulk discount) and cheese mostly. we both have lots a clothes, and don't need/want much more in our old age. If I see something that looks pretty cool I buy it .... jeans from Primark, linen shirt from H&M and the occasional genuine reduction: quilted gilet from Ted Baker. Camera equipment is a weakness, I know people who like the personal service received at Grays of Westminster, whilst I'm buying and selling with the rogues up around Tottenham Court Road. 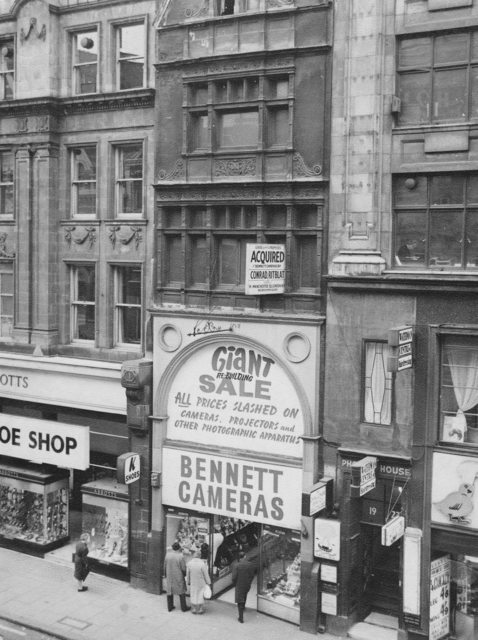 I used to work here in 1963, Oxford St, same name no relation! 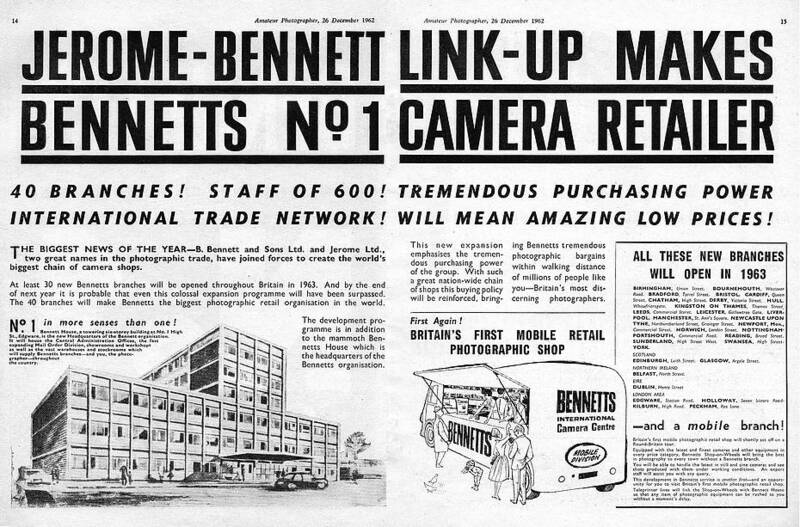 Never heard of Bennett Cameras ... before my time. I've been googling, and is that the company owned by Boris Bennett, later sold out to Dixons? Dropped into Waitrose yesterday though . . . . just thought I'd mention it. Charity shops, markets and honesty boxes. I do order my special once a day coffee from London though. We always go to Waitrose, our noses pressed against the window...seeing how the other half live..